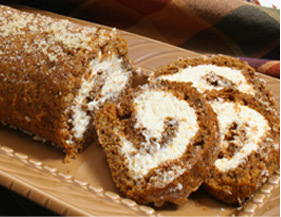 Make your Thanksgiving memorable with the mouth-watering recipes and valuable "how to" information on RecipeTips.com. Whether you're looking for recipe ideas for appetizers, side dishes, and desserts, or advice on preparing a perfectly roasted turkey, RecipeTips has everything you'll need for the ultimate Thanksgiving feast. Your Thanksgiving meal will be even more inviting with this outstanding roast turkey flavored with an irresistible blend of fresh ingredients. The classic side dish is given an interesting twist with the addition of Swiss cheese, stuffing, and sour cream. A great tasting variation to standard bread stuffing.